"Pumapunku or Puma Punku (Aymara and Quechua puma cougar, puma, punku door, hispanicized Puma Puncu) is part of a large temple complex or monument group that is part of the Tiwanaku Site near Tiwanaku, Bolivia. Tiwanaku is significant in Inca traditions because it is believed to be the site where the world was created. 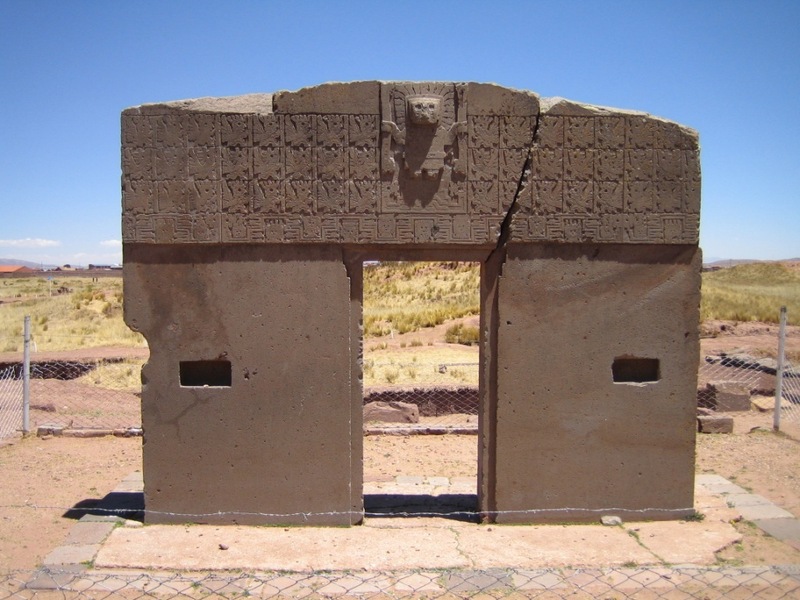 In Aymara, Puma Punku's name means "The Door of the Puma". The Pumapunku complex consists of an unwalled western court, a central unwalled esplanade, a terraced platform mound that is faced with stone, and a walled eastern court."